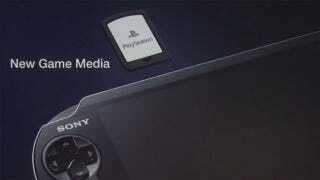 Has Sony's NGP Been Gutted Before Release? According to a report on French tech site 01net, in order to cut costs and compete with the price of Nintendo's $249 3DS, Sony's upcoming NGP handheld has been the victim of a little slash-and-run. The piece states that the NGP, which was originally intended to ship with 512MB RAM, will now only ship with 256MB. It has also reportedly lost the 16GB of internal memory first planned, this functionality to be replaced by external storage cards. If correct (and remember, none of those specifications have ever been made public), the downside of this would of course be the fact the NGP will be a slightly less capable machine (though its graphics memory, at 128MB, would apparently remain untouched). The upside? It would allow the handheld to be priced competitively compared to the 3DS, somewhere around the $250 mark.